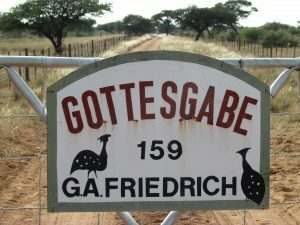 Farm Gottesgabe has been in the Friedrich family since 1927. 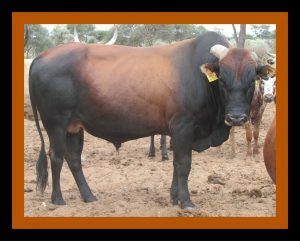 In 1979 Georg Adolf Friedrich (3rd generation) started farming with Bonsmara cattle. 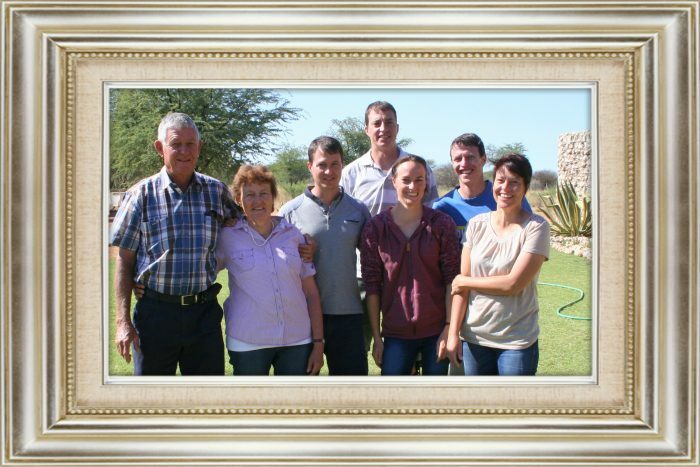 Because of a serious drought in 1982 the family had to abandon farming and move to Gobabis where Georg started a company called Gobabis Auto Electrik. 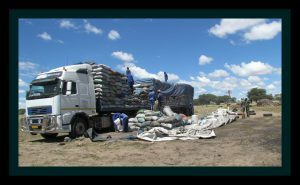 The business was so successful that it was 2005 before the family sold the business and moved back to the farm on a permanent basis. 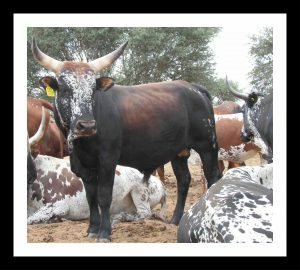 At this time Georg changed the breeding stock to indigenous Nguni cattle. 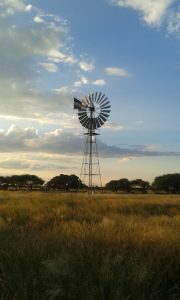 The Friedrich family is a large one and all the children have a vested interest in the land. 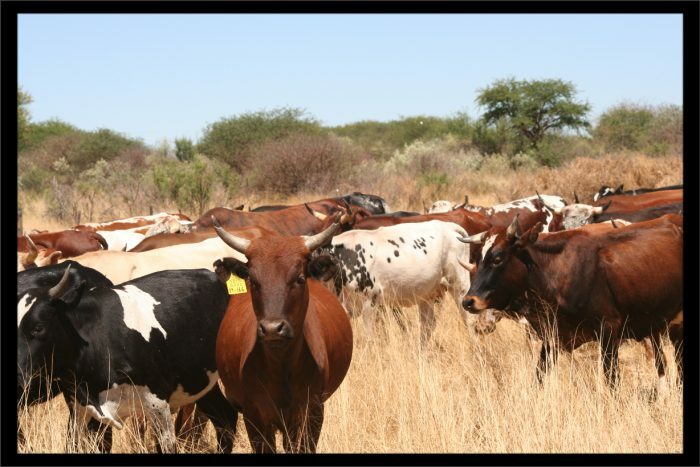 Farm Gottesgabe(4700ha) is holistically managed using natural processes. Farming in the image of nature, mirroring processes as close as possible to nature. 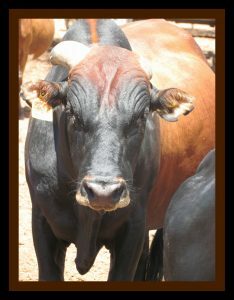 No dehorning of cows and bulls, no weaning, no supplements and no artificial feeding. 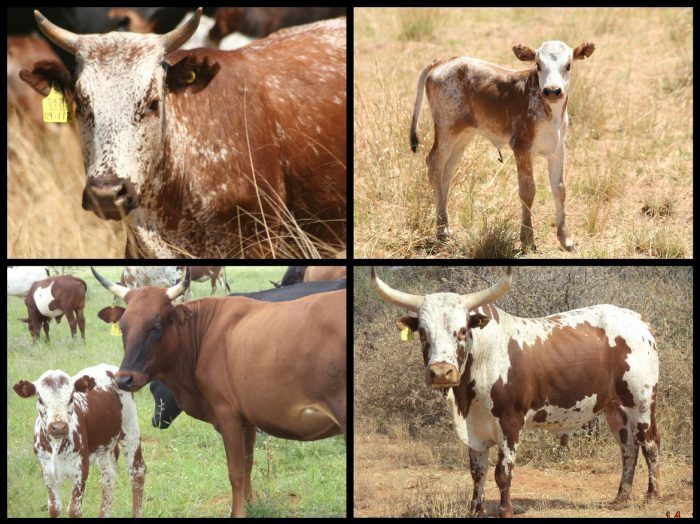 Improving soil health and biodiversity of rangelands and pastures. 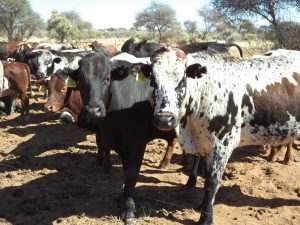 Increasing grazing and wildlife capacity. 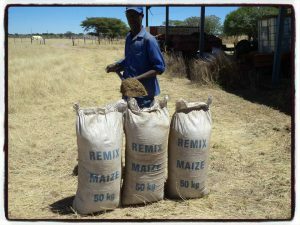 Increasing annual profits and enhancing livelihoods of all partners on the farm. 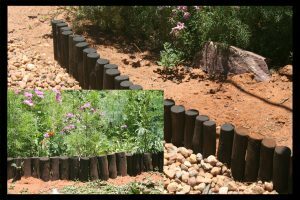 Optimally using rainfall and conserving water. Growing healthier crops and achieving higher yields. 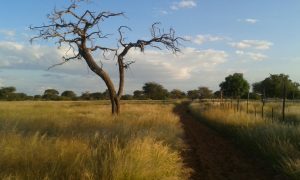 Reversing desertification in brittle environments. 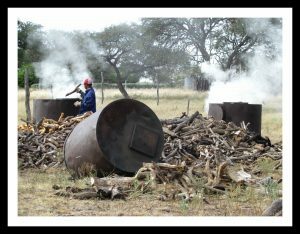 Breaking the cycle of food and water insecurity. 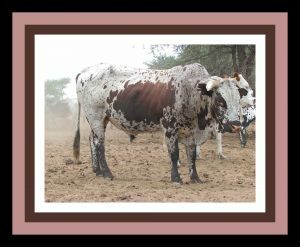 Nguni cattle are a sub-type of the African Sanga cattle and indigenous to southern Africa where they are used for milk and meat production. 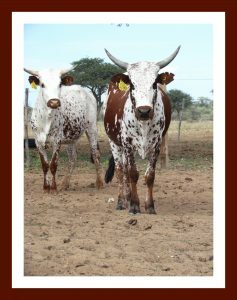 They are medium sized animals with many different colors and patterns. 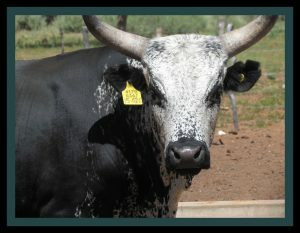 They are easily characterized by their multicolored skin. 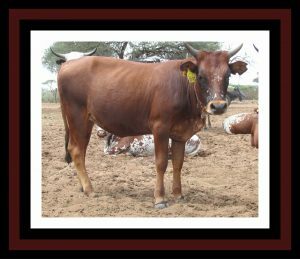 The colours of this breed of cattle are varied with different patterns such as white hair with pigmented skin; black, brown red, dun, yellow are common, either as solid colours or in various combinations (black-and-tan or bridle). 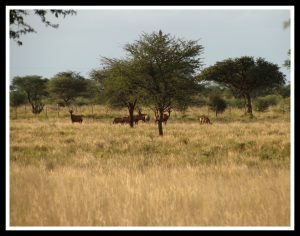 They are excellent food foragers and will graze and browse on steep slopes and in thick bush alike. 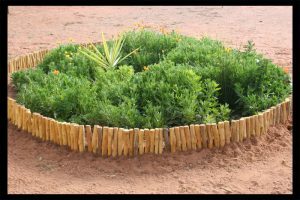 Edging is a natural way to beautify your garden. 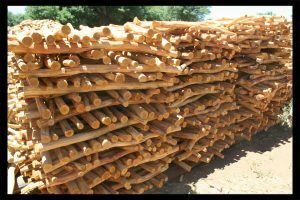 We have edging available in three different ranges: first is natural as found naturally (bark on), secondly debarked and lastly debarked and oiled. Sizes 20, 30 and 40cm. 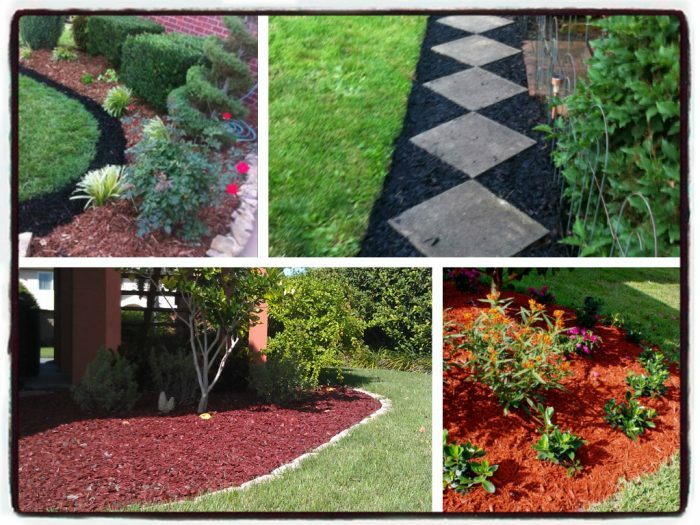 Maintain a colorful garden even when winter or drought diminishes all vegetation. (Available in natural, green, white, red, yellow, blue and black). Chipped invader bush. Bird feeders are bottle devices placed outdoors to supply nectar to a variety of birds. This feeder is naturally attractive to hummingbirds. 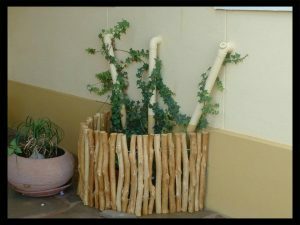 Our hand made bird feeders are made from recycled bottles and a natural theme wired decoration. 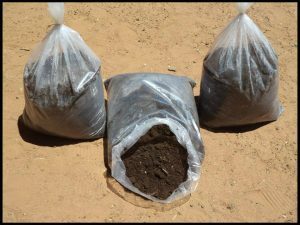 Vermi compost: small scale. Subject to availability. About 20kg per large bag. 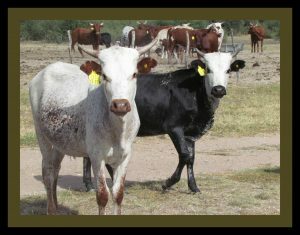 No hormones or any chemicals ever used by cattle. 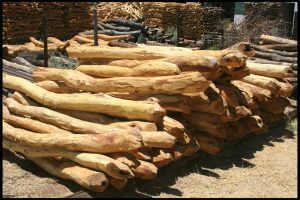 Boskos which is ideal for dry winter months. 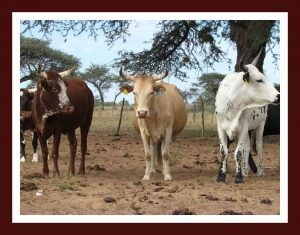 Cattle, goat, sheep and horse feed consisting of high protein dried and ground invader bush leaves and twigs (acacia meridionalis) mixed with ground camelthorn pods. BOSKOS is a primary game feed. 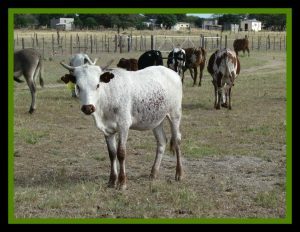 It is produced from invader bush and is a natural source of prime food for herbivores. With addition of some supplements it is a staple diet, especially as a winter grazing supplement, for game, cattle, goats and sheep and horses. 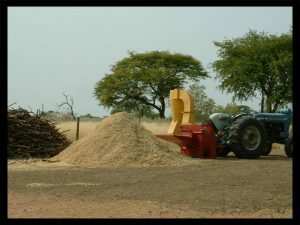 The harvest is rich in natural trace elements, drawn from deep in the earth by the root systems, and retained in the processing of the final product. 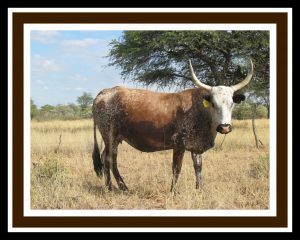 Boskos nutrients and fibres, as organic elements, are immediately available in a herbivore’s metabolism, which assists with easier digestion. 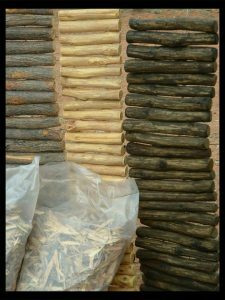 We mix in ground camelthorn pods or Prosopis(mesquite) pods (for horses).